The North Tonawanda History Museum is ready to open noon Saturday at a new location after years of financial struggle and months of moving. The new site in the former Deluxe Lanes on Oliver Street covers 8,000 square feet, one-fourth the size of the main floor at the museum's old location. Executive Director Howard W. Roeske Jr. said he cataloged 14,500 items in the old collection, but about 25 percent of them were sold, donated or returned. "About half of the remainder is on display, and the rest will be in storage," Roeske said. "We'll be rotating things." The museum was ousted last summer from its previous location in the former G.C. Murphy & Co. department store at 54 Webster St. by a mortgage foreclosure, and the museum trimmed its collection to better suit the new, smaller space. The new galleries include depictions of a North Tonawanda ice cream parlor, an old-style classroom and a typical mid-20th century living room. Two bowling lanes remain intact and could be used by visitors. 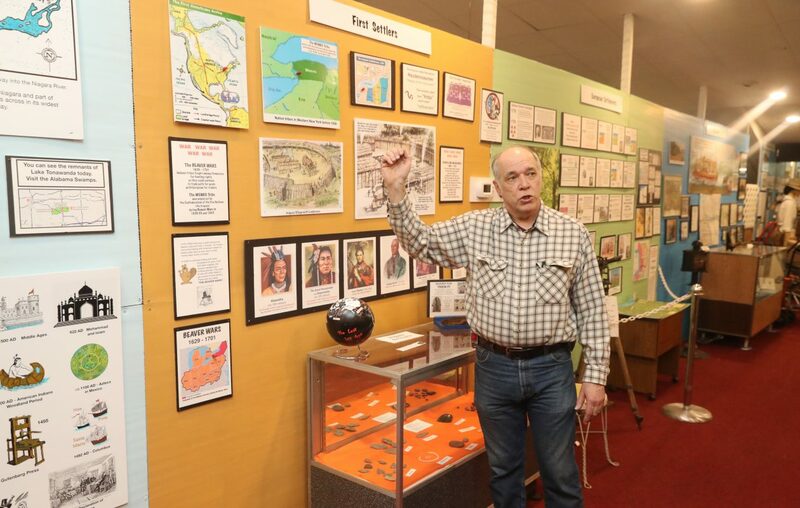 Around the walls are displays of facts and artifacts from the Ice Age and progressing to the glory years of North Tonawanda industries. 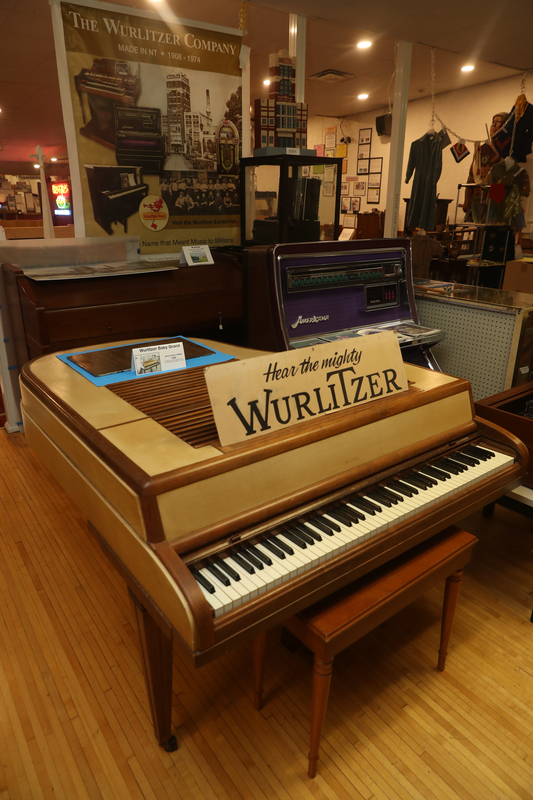 The industrial items range from a Wurlitzer jukebox that plays 78 rpm records to a name plate from the Richardson Boat Co., which folded in 1962. The museum's Richardson "Little Giant" cruiser remains at its old Webster Street site. "It was too big to get through the door," Roeske said. Spot Coffee, which will open a shop at 54 Webster later this year, may build a display around the cruiser, he said. The museum tells how North Tonawanda, whose population was less than 1,500 in 1880, became the thriving "Lumber City" in the early 20th century. "There's nothing better than history," said Sue Hempel, a former North Tonawanda alderwoman. Roeske said he continues to face some challenges, such as restoring the museum's internet presence. The museum's popular used book sales will resume in March. Museum hours are noon to 4 p.m. Saturdays, 11 a.m. to 3 p.m. Tuesdays and 2 to 7 p.m. Thursdays. Adult admission is $5, with discounts for seniors and children.